The value of native advertising is expected to rise to $59.35 billion dollars by 2018. There's clearly significant value and insight we can glean from this form of marketing. So what do we need to know about native advertising? We asked these questions to Chad, an expert on this topic. 1. What is the difference between native advertising and sponsored advertising? Take for example, long-form native advertising in a publication. A famous one is the “Orange is the New Black” article the NYT done for Netflix. Generally, this form of native advertising is called sponsored content. That would match both native advertising and sponsored advertising descriptions. However, if you sponsor an event and they put your logo on its signage, it would not be considered native, but would be consider sponsored advertising. If the content is not considered “in-feed” and organic-looking in nature it will always just be sponsored advertising. 2. What are the benefits of native advertising? Are there any negative effects? The biggest benefit for advertisers is that most native advertising is the best paid channel for top of the funnel content – content that doesn’t sell anything (there are a few acceptations, like PPC). I’ve seen some machine learning technologies get Facebook in-feed native advertising down to $0.005 per click. It’s highly scalable. Other forms of advertising generally push mid to bottom-funnel content and are subject to ad-blocking. Native, done correctly, mostly focuses on top-funnel content and isn’t subject to ad-blocking. Any negative effects of native advertising would be the same as with any other form of advertising. If done poorly or using click bait, etc. it can give a brand a bad name. I recommend keeping native advertising out of the hands of media buyers that chase impressions and clicks, moving it as close to creative and strategy as possible. These are the content marketers chasing engagement metrics. The incentives for native should never be tied to impressions or clicks – always engagement. 3. Can you talk about the different types of native advertising? 4. Where do the social channels fit in terms of native advertising and what are some tactics a marketer might use with social channels? Any advertising in social media that’s “in-feed” is native advertising. Social media is projected to represent up to 60% of all the native advertising spend globally ($85 billion by 2020) and Facebook is the 800 pound gorilla in the room. Tactically, using third-party managed services technology or social DSPs can help scale and optimize towards goals and budget. Going directly to a social platform might not always be the best approach. Consider exploring other technologies that can give you more options in social. 5. How do you track native advertising and what sort of metrics would buyers be interested in? This is all over the map because many different silos with historical KPIs are doing native within any given organization. Ideally, you want to track engagement with top-funnel content. This is done one of two ways by software – scroll depth or time on page. Some services offer a CPE (cost per engagement) model where you only pay when your content is engaged with. Another way would be a CPA (cost per action) or CPL (cost per lead) – again, this is all dependent on a brand’s goals. For tracking long-form native advertising, solutions like Nudge (giveitanudge.com) empower both publishers and brands to get very granular with their analytics and tracking. 6. What some rough price points involved with native advertisements? This varies substantially. With programmatic solutions I’ve seen CPCs as low as $0.005. I’ve done campaigns with CPCs as low as $0.06. Generally, without the help of third-party software, you’re looking at $0.50 to $1.00 CPCs. For long-form, publishers are charging as much as $75K per month to do native, while others can charge as little as $5K. 7. If a brand wants to get started using native advertising, where do you suggest they start and what sort of budget should they have? 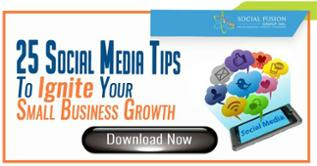 Facebook, Twitter and LinkedIn are great places to start. I would recommend starting with an experimental budget of $100 to $300 to get your feet wet. That said, I recommend only promoting content that has already proven itself as popular organically. Consider thinking outside the box, too. Instead of promoting your great content to your prospective customers all of the time consider promoting it to your industry influencers and journalists. Nothing wrong with using paid media to earn media. 8. If someone has a high traffic website, how can they profit from Native Ads campaign and how much should they expect to make? There’s two ways a publisher can profit off of native advertising – programmatically or through long-form. For long-form native I worked on a formula for publisher to price out their offerings. That formula is featured here. The key for publishers is to get contracts with brands for at least six months. Renewal rates for publishers are 60 to 80% if campaigns reach that length. Campaigns that don’t only renew at 32% on average. Programmatically speaking, I’m not entirely sure what the revenue share models look like from the exchanges and networks. It’s likely they’re being pinched hard with the advent of machine learning, artificial intelligence and real-time bidding. 9. How can someone who wants to learn more contact you? Twitter, email (chad@native-institute.com) and my personal website are all good ways for people to get ahold of me. 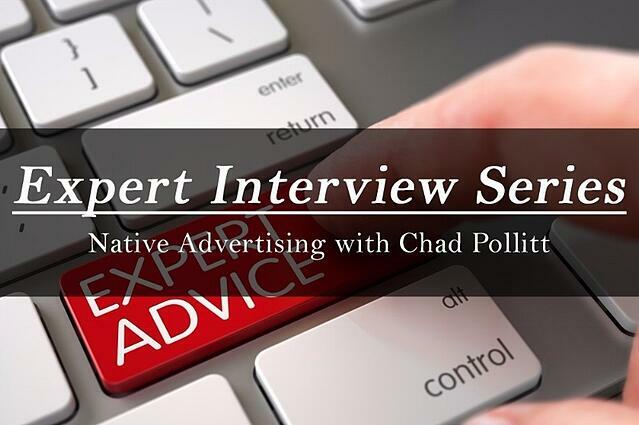 Chad Pollitt is a Partner and VP of Audience at the Native Advertising Institute. He’s also an Adjunct Professor of Internet Marketing at the Indiana University Kelley School of Business and an Adjunct Instructor of Content Marketing at the Rutgers University Business School.